The Centro de Álgebra da Universidade de Lisboa, Portugal, http://caul.cii.fc.ul.pt, seeks to hire one scientist for a 23,5 months research position in Algebra, preferably in research areas related to Lattices, Universal Algebra and Algebraic Logic; Automata, Languages, Groups and Semigroups, which are intrinsically connected to Theoretical Computation and to Computational Algebra. The candidates will be selected on the basis of their research record and future potential in these fields. We wonder if you know any possible candidates. 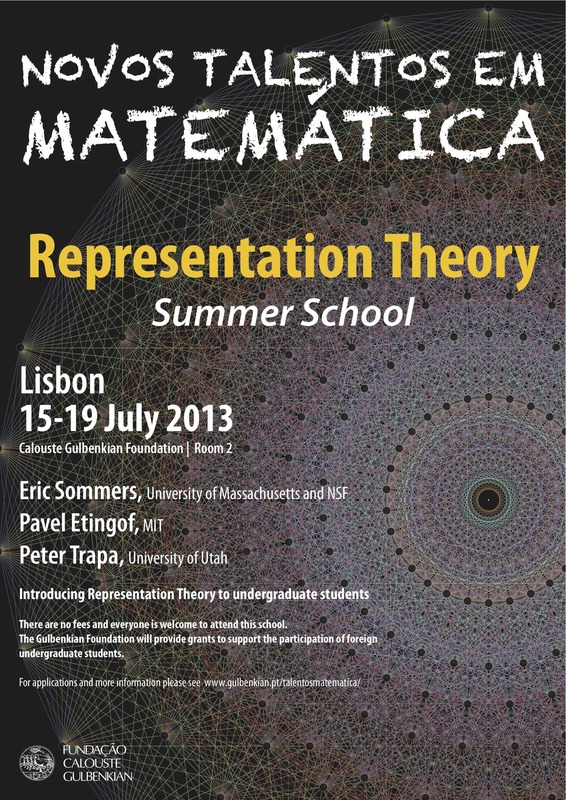 There will be a Representation Theory Summer School for undergraduates organized by the Gulbenkian Foundation in Lisbon from July 15th to July 19th 2013 at the headquarters of the Gulbenkian Foundation in Lisbon.